So, you’ve completed your driving instructor training and are exploring the career routes before you. Then again, you could well be an experienced driving instructor with many miles racked up in experience. Whatever your situation, there are millions of new learner drivers each and every year – business is booming and it’s fair to say that your skills are in demand – lucky you. You get to pick and choose from a wealth of driving schools. Trouble is, the sheer choice can soon overwhelm – telling these driving schools apart can be tough going. So, the question is, why should you join us? Well, we’re glad you asked. 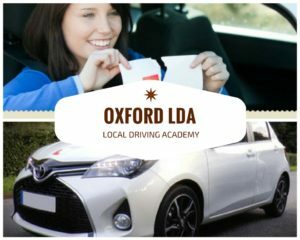 Here are six solid reasons why the Local Driving Academy should be where your journey begins and ends. Our pupils are incredibly happy with us. So much so, that our team have quite the reputation for super happy pupils (today, we score a 4.9 out of 5 stars – spanning some 166 reviews). Those large multinational driving schools can seem like the obvious choice for the driving instructor looking for their next position. Yet all isn’t quite as it seems. Many of these schools charge you a considerable fixed fee for every single student they refer to you. We, on the other hand, charge you nothing at all. Our reputation and the fact that we rank on the first page of Google means that we’re forever growing our team – rest assured, with the Local Driving Academy you’ll never face anextended pit stop between your lessons. They also take around 36 hours to pass. That means for every pupil you take on, you look forward to a full working week of hours. We’re always here for each other – helping one another when needed and in constant contact via a team WhatsApp group. It’s things like this that make the difference between the Local Driving Academy, and the big, impersonal brands. This provides you with complete peace of mind that your monthly income is guaranteed (which is invaluable when you’re self-employed). Allowing you to plan your days and weeks quickly and with clarity – know where you are, who you’re seeing and how many hours you’ll be working each week and month. This really helps you in securing the job flexibility that so attracted you to this career in the first place. We offer a seriously competitive franchise package, and with so many other reasons to join the team here at the Local Driving Academy, we should probably talk. Call us, today, on 01865 722 148.